Ontario gambling execs to host casino information panel at Wasaga Beach Town Hall on February 21. Talk of a new casino in the lakeside community of southeastern Ontario’s tourism-driven Wasaga Beach has been going on for far too many years now. City Council chose four potential locations for a gambling facility in 2012. They added a fifth to the list in 2015. Now in 2019, gaming officials are finally making their way to the community to talk casino shop. Hopefully, between regulators, company heads and city leaders, they can start swinging a hammer towards nailing down a location. For now, though, the meeting is aimed at providing the city with specifics on how host municipalities benefit from gambling in Ontario. The meeting will take place at Town Hall in Wasaga Beach February 21, 2019 at 1:00 p.m. The Ontario Lottery and Gaming Corp (OLG) and Gateway Casino will both have representatives in attendance. All councilors are welcome to take part in the information panel. Ontario Gambling Finally Coming to Wasaga Beach? According to yesterday’s press release by the Town of Wasaga Beach, there are two major goals set out in the upcoming meeting. First, the city will learn more about what it means to be a host municipality of OLG gaming. The OLG will handle that side of the presentation. Second, Gateway will talk about its success in other parts of Ontario. Previously, town leaders had been considering offering an incentive to build the new casino on the beachfront property; one of the five locations deemed acceptable by councilors all those years ago. As of yesterday’s announcement, an incentive will most likely not be part of the deal. 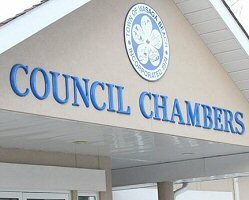 City councilors are expected to ratify elimination of the incentive clause at another upcoming meeting on February 19. Although its options are clear as daylight, and have been for years, Gateway is not likely to name its preference in location at this time. According to the Wasaga Beach report, “Gateway Casinos and Entertainment Ltd. is currently performing its due diligence…” Until that wraps up, their preferred location will remain a mystery. Once that announcement comes, however, the City of Wasaga Beach will still have the final say, voting to approve or reject the location. The informational meeting will not be open to the public. Welcoming the opinion of residents will come later. After Gateway picks a location and presents its proposal, the ball is back in City Council’s court. This is when the public can expect an invitation to weigh in on the topic.